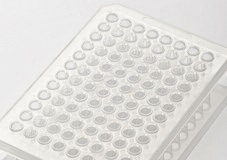 Premium Quality BioPointe PCR and 96-Well Microplates are molded from high clarity virgin polypropylene. They are lot tested and certified free of RNase, DNase, DNA, and Pyrogens. 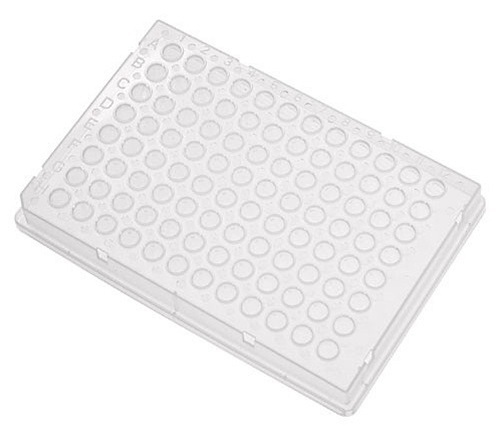 BioPointe PCR plates have easy to read alphanumeric markings and raised well rims that enhance the sealing surface and eliminates edge effects, The uniform thickness provides rapid and even heat transfer for consistently reliable amplfications. 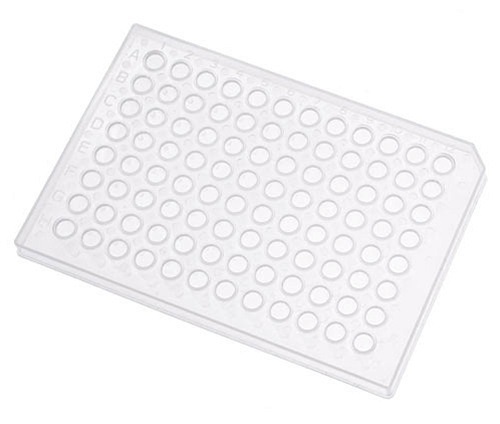 BioPointe 96-well plates are solidly constructed to provide easy and efficient sample handling, storage and transport. BioPointe 96-well plates are resistant to high temperatures and chemical corrosion and their robust construction makes them suitable for robotic and automated operations. Available with round wells, to maximize sample recovery while minimizing wicking, or with square Deepwells with cone-shaped base for improved sample concentration, restoration and centrifugation.